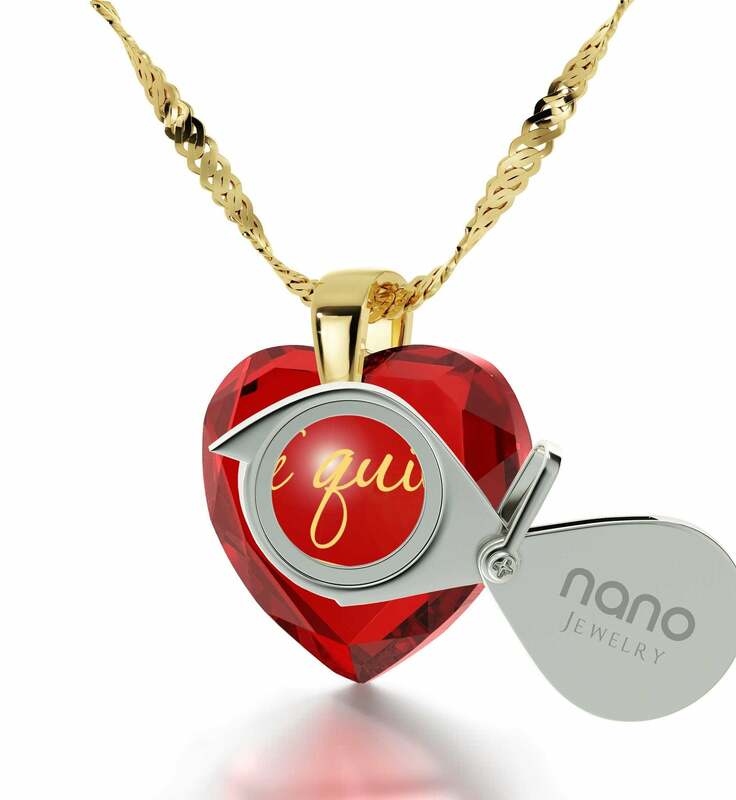 Gold is perhaps the best material to represent your everlasting devotion with – it is valuable, doesn’t stain or tarnish for centuries and occupies a prominent and unusual place among other metals. 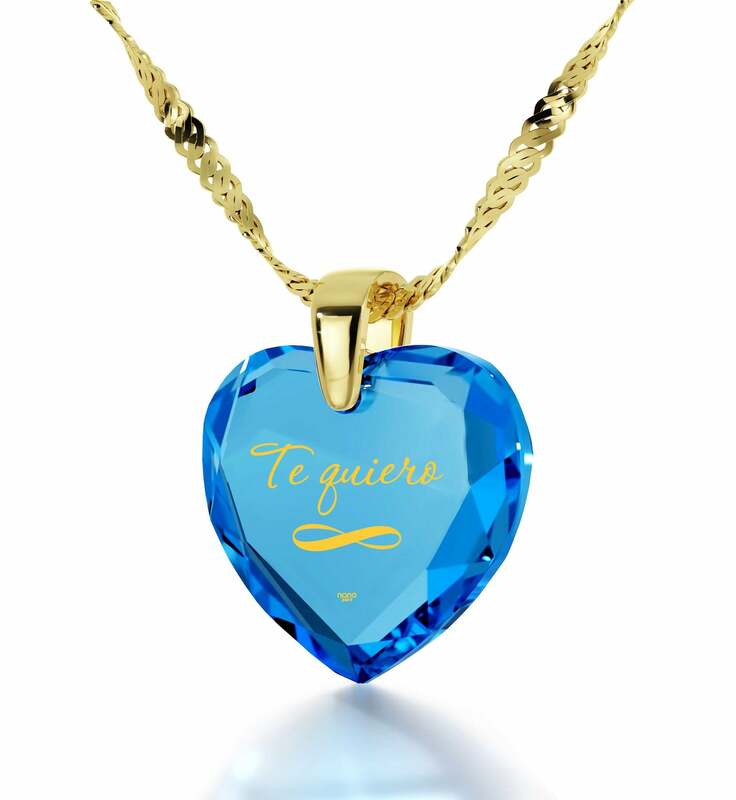 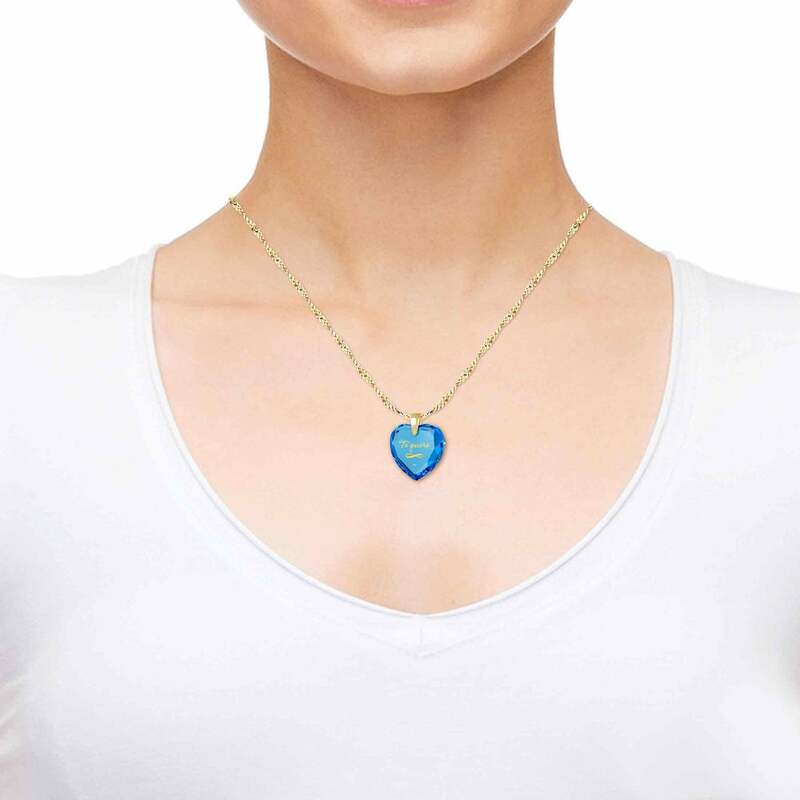 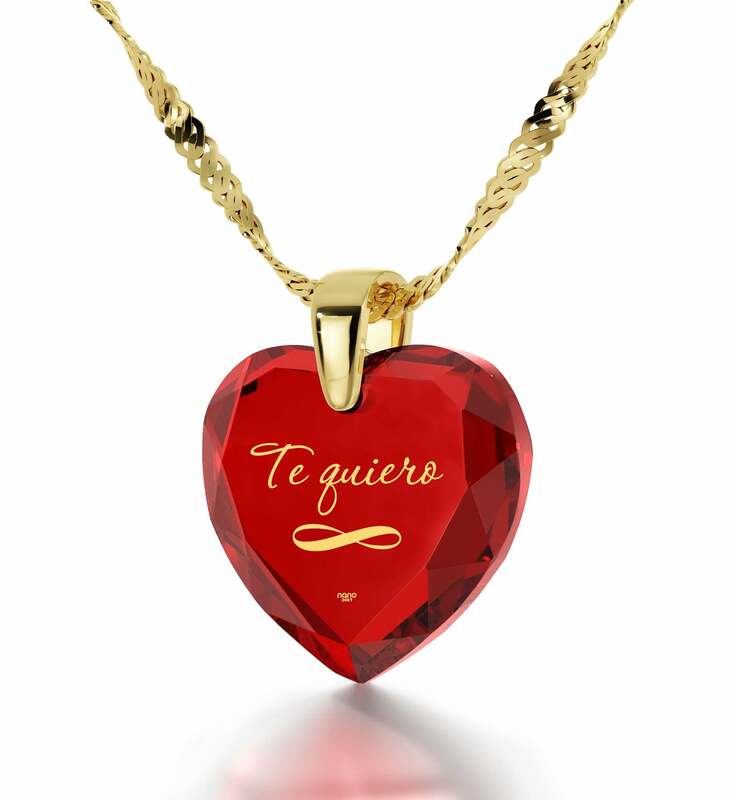 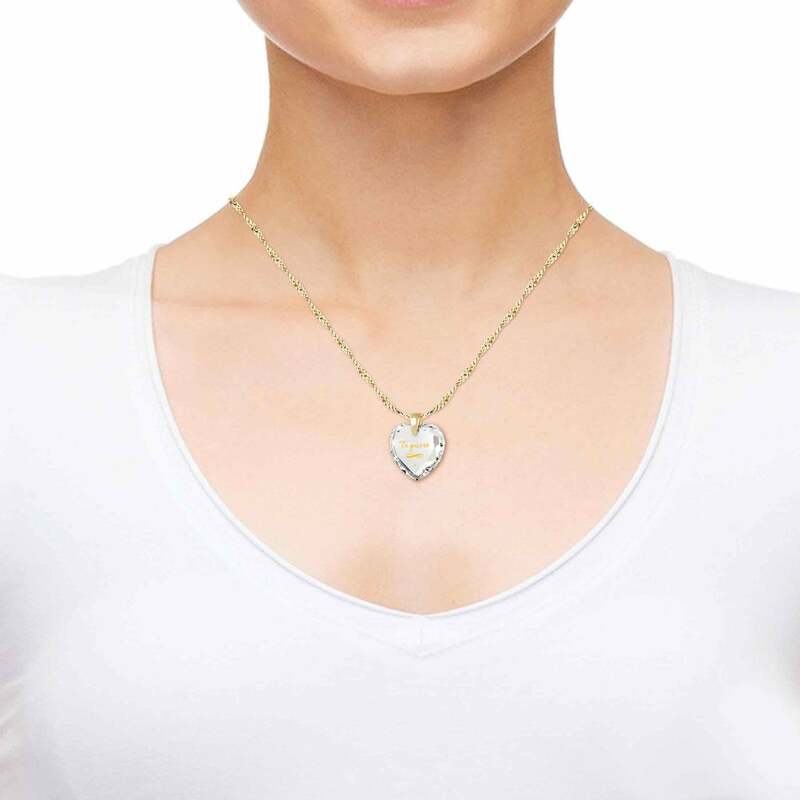 Women’s gold jewelry is therefore perfectly suited to take on the task of conveying the infinite love you feel for her, and when it has been given careful consideration like this meaningful necklace has, the results can be truly remarkable! Drawing its inspiration from the universal symbols for ageless love, this classy piece of infinity jewelry will enhance her style and impress onlookers with its striking appearance. 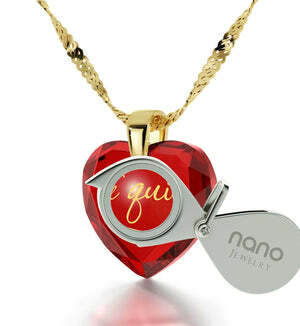 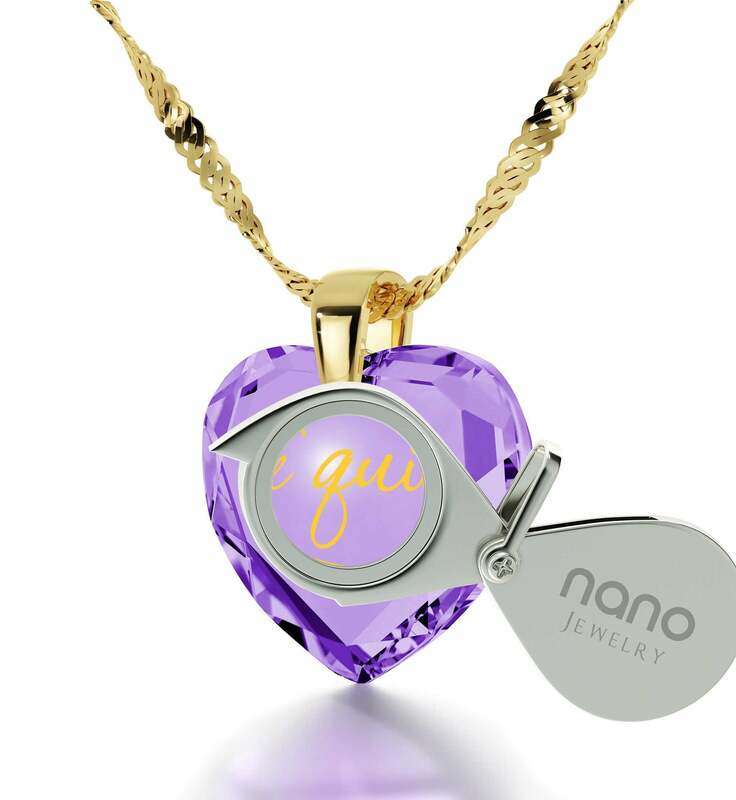 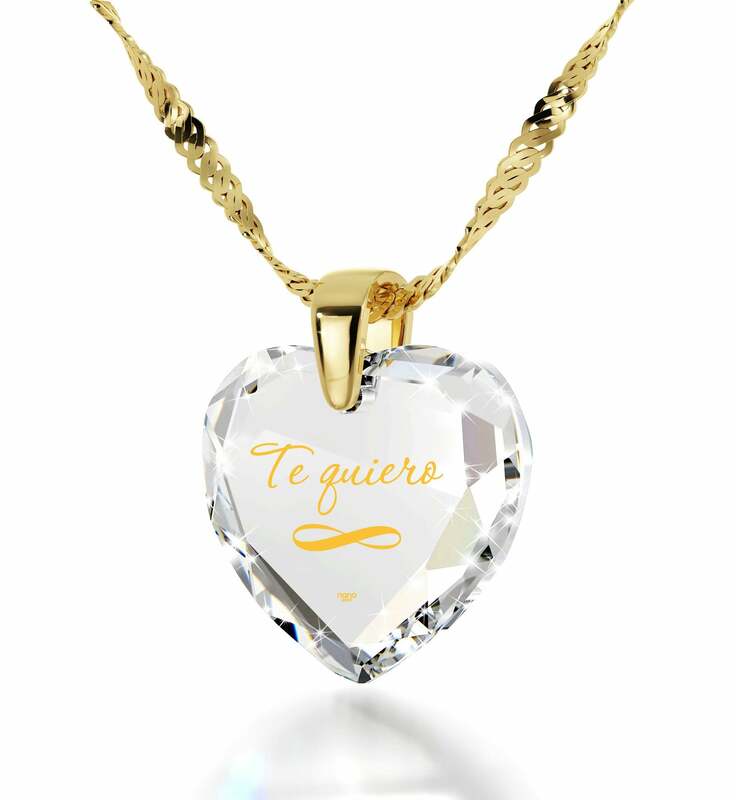 More importantly however, it serves as a one-of-a-kind proclamation of the extent of your feelings thanks to its pure 24k golden inscription deftly created on the cubic zirconia pendant. 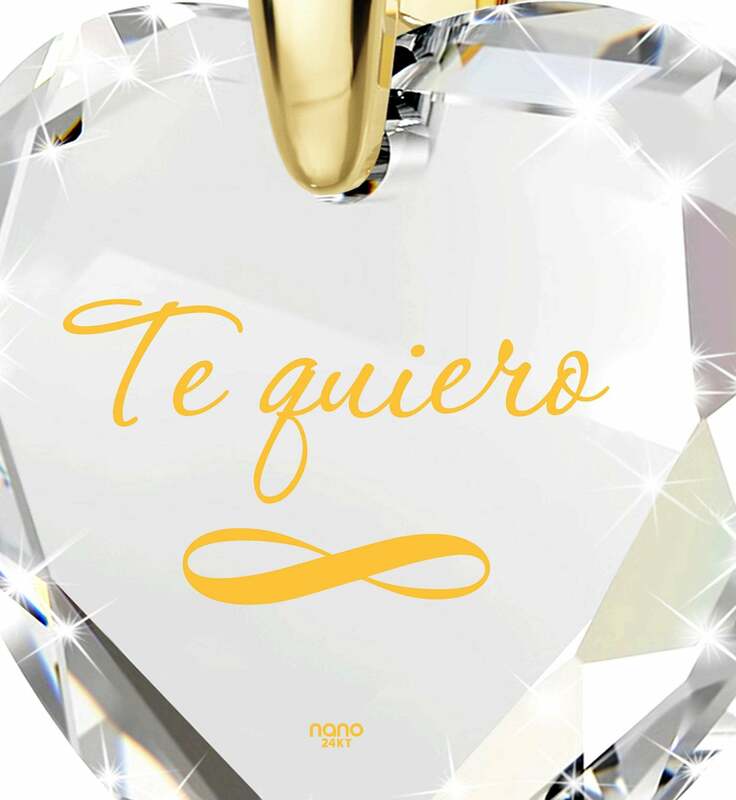 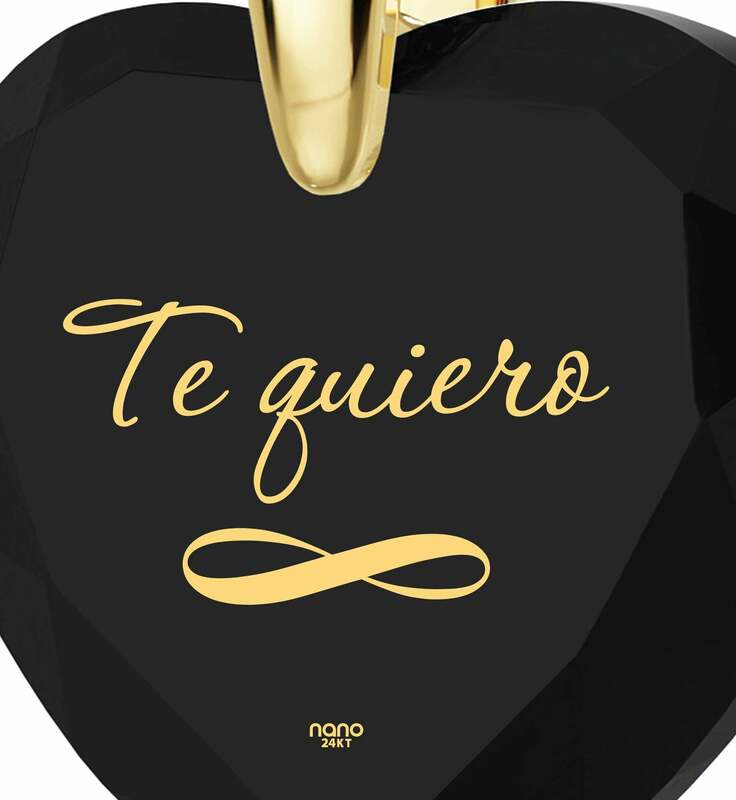 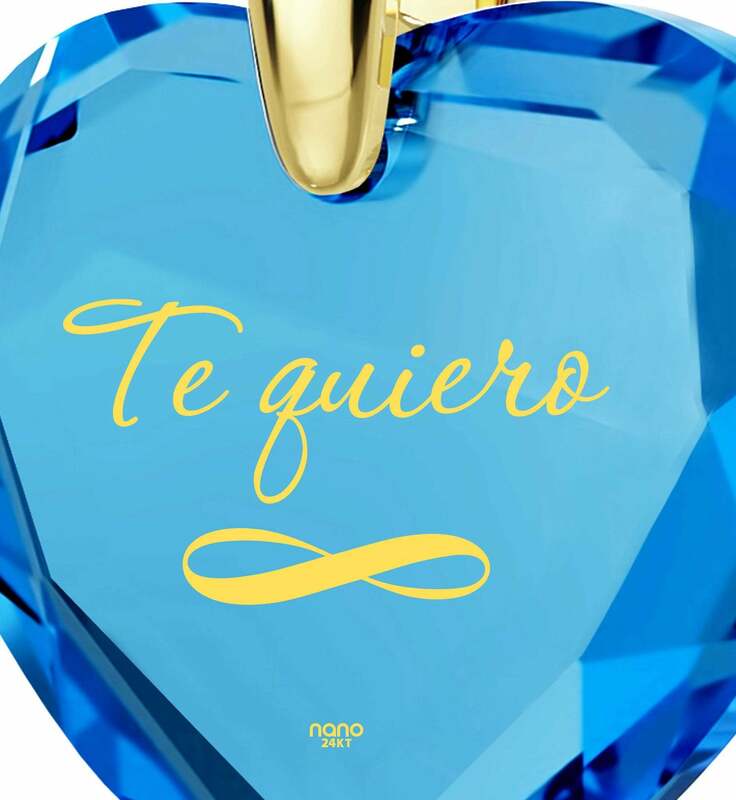 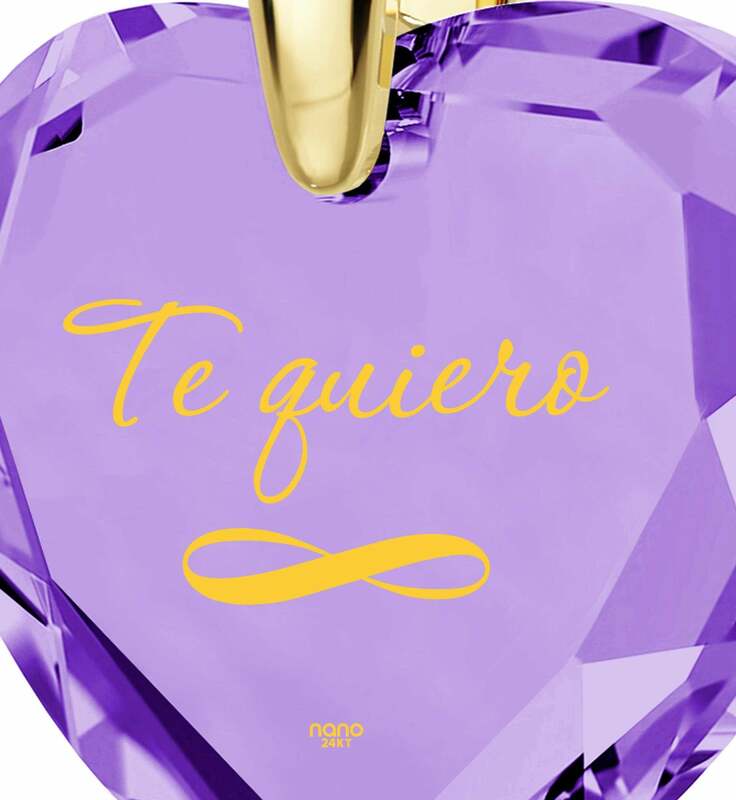 “I Love You” in Spanish as well as a small symbol of infinity have been meticulously crafted using a process only Nano Jewelry has access to. 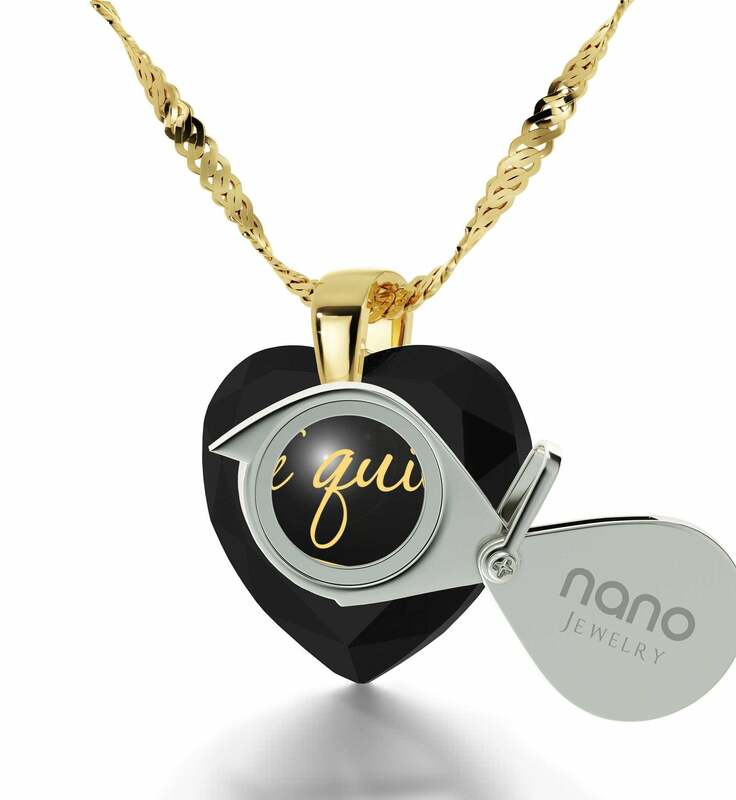 Not only does it protect the inscription from damage, extending its life endlessly, but it allows for a level of refinement others can only hope to reach. 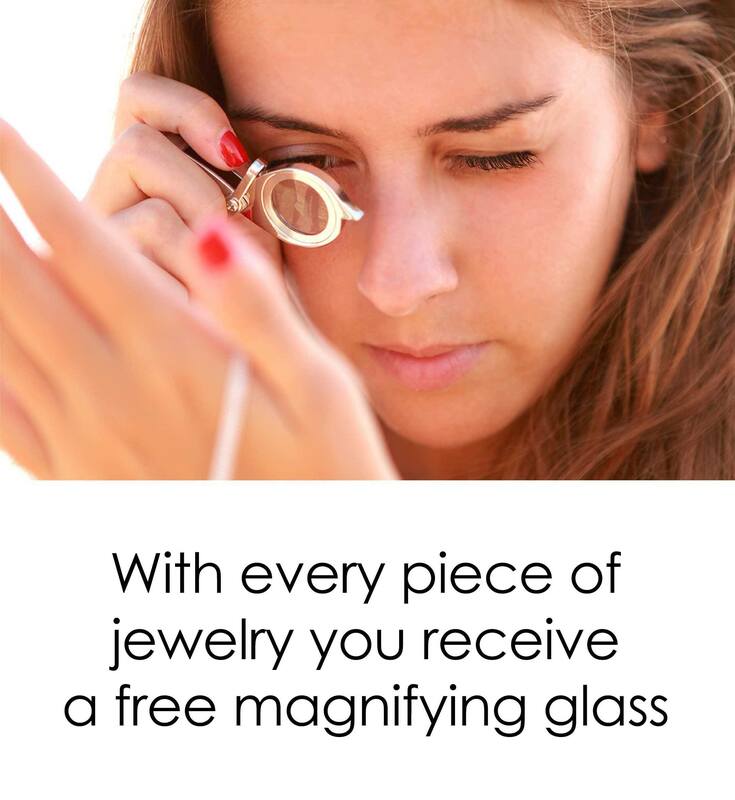 As far as jewelry gift ideas go, this makes it truly unique. 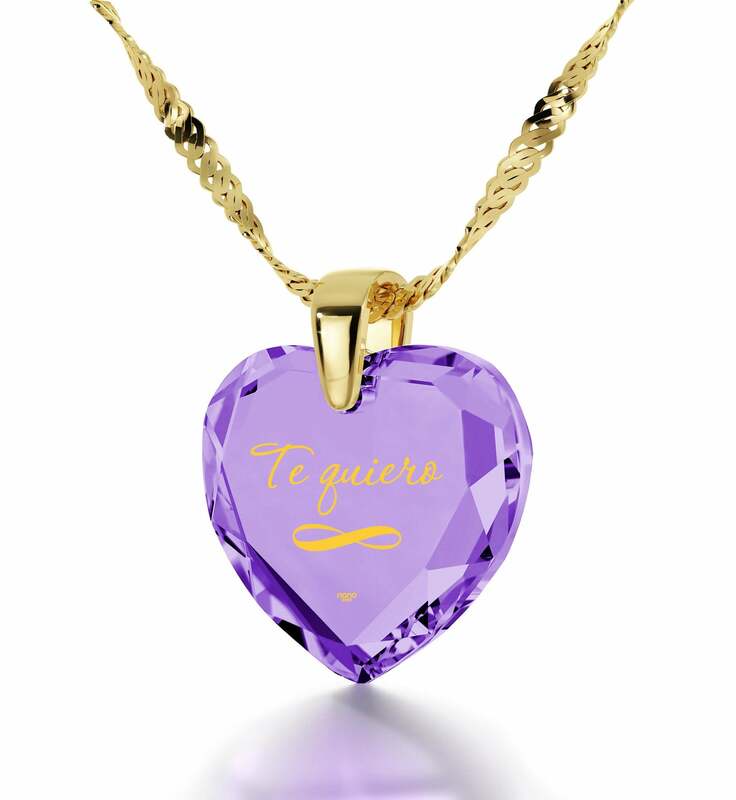 We’ve further enhanced this amazing gift for her with some welcome accessories. 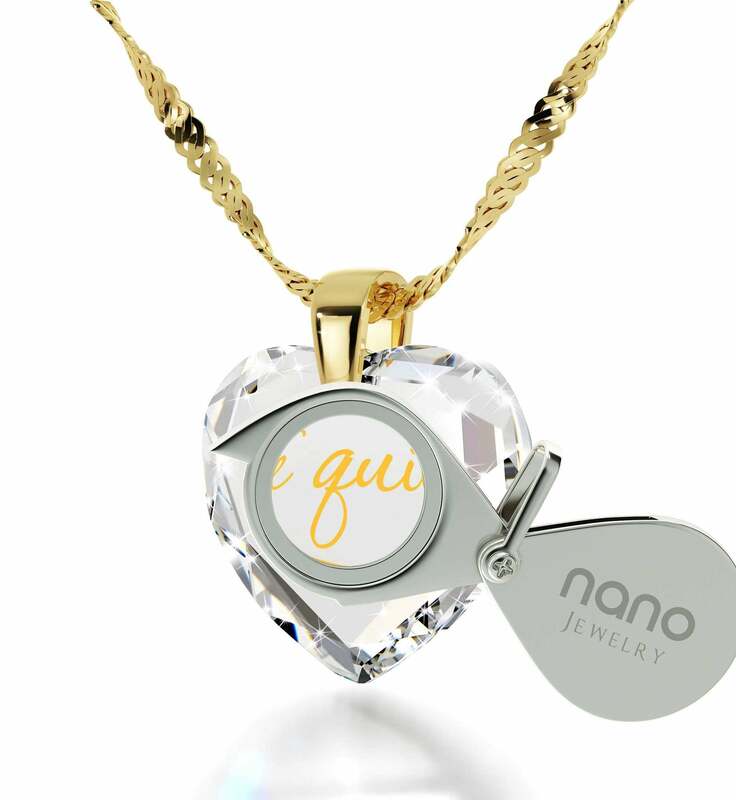 The first, a small magnifying glass she can wear on her keychain when not in use, is perfect for shedding light on the inscription’s tiniest details. 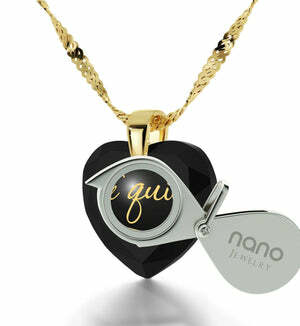 The second is a special box which makes the womans gift complete. 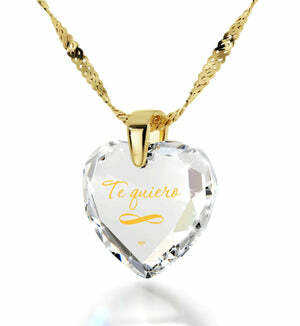 Take the final step and experience a smile from her that will far outshine any glittering gold.